What Is A Trauma Bag, Also Known As a Jump Bag? 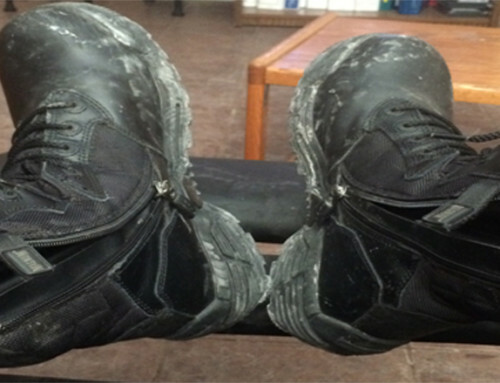 As a trained or soon to be trained EMT, you might want to consider owning your own jump bag. A jump bag, also known as a trauma bag or EMT bag is exactly what it sounds like. It is a bag or pouch that contains equipment that is used to treat traumatic injuries. This is a required piece of equipment on an ambulance and usually contains items that are needed to stabilize a patient till the crew can load them into the ambulance and continue treatment. Being a skilled provider, it is not a bad idea to have a trauma kit of your own. There are many reasons to carry a trauma kit either in your vehicle or around your dwelling. Some EMTs and Paramedics actually work freelance, providing medical care in different industries as a private contractor. An example of this is working as a set medic on a movie set. A set medic is responsible for emergency response and first aid on a set until 911 can be called. As a private contractor or even a union medic, the responder is still responsible to stock their own trauma response bag. In those cases, they will want a full kit. Other people like to keep a kit in their vehicle in case they encounter an emergency. A responder might not need a professional level kit but they might want to keep something better than a first aid kit. Camping and outdoor adventures are fun with the family and as a trained EMT or Paramedic, if someone does get injured usually you will be the one turned to in this time of need. Once again, a personal EMT bag would be a boon here. There are kits that are portable enough to carry in a backpack and still contain enough supplies to treat most injuries. While it is possible to assemble your own jump bag, it can be more convenient to purchase an already assembled kit. We will detail jump bag assembly later in this article. This is a list in no particular order of some of the best fully stocked trauma bags. These jump bags should be considered on the basis of need. Are you a private contractor that needs a professional level EMT bag? Consider one of the fully assembled kits. Do you just want something to carry in a vehicle just in case? There are kits for that too. Looking for a bag that is a level above a simple first aid kit? There are products on this list that will fit that need. As always, these are recommendations and readers should consult their local and state laws in regards to what they are allowed to carry and how much aid they can offer and still be protected by Good Samaritan Laws. The Lightning X Jumbo Oxygen Medic First Responder EMT/EMS Bag Stocked Trauma Kit is like carrying an ambulance on your shoulder. This professional level trauma bag contains everything a responder would need in order to render basic care and aid to a medical and traumatic emergency. This bag is on the same level as jump bags found on ambulances. This is a large bag and even includes an empty O2 D tank. This trauma kit is great for volunteer EMTs and Firefighters that have to respond to emergencies in their personal vehicles. This bag is also perfect for independent contractors such as movie set medics or any other occupation where the responder has to furnish their own professional level trauma bag. This bag features durable nylon construction with a reinforced water-resistant bottom. It also has reflective safety strips and an embroidered reflective star of life logo and has a shoulder strap for easy carrying ability. A complete medical and trauma jump bag. Comes with an O2 solution. Allows for Complete Airway Management including the ability to assist ventilation. An ambulance on your shoulder. While not really Cons to this kit here are some suggestions. Consider adding a Trauma Pak for improved bleeding control. This kit is detailed below. Would add an upgraded tourniquet such as a Recon Medical Tourniquet. This is a trauma bag designed with the tactical medic in mind. The Lightning X Tactical Trauma Backpack includes the supplies needed to render aid in just about any environment. Stocked inside of a backpack, this kit is easily portable and accessible. 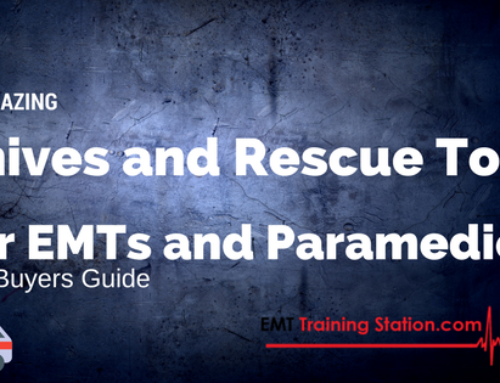 Tactical EMS differs from normal EMS in that the medic is there to support a tactical team. Usually, this team will consist of a law enforcement entity such as a SWAT team. This kit was assembled with these factors in mind. The trauma kit comes in a tactical backpack complete with a hydration bladder. During standbys, a situation can develop rapidly, and to have access to a hydration bladder included with this kit means that the rescuer can remain hydrated during extended scenarios. This kit is also perfect for non-tactical medics that need an easy to carry trauma bag while they work events with large crowds such as inside sports venues. This tactical trauma bag comes with two small and two large grab-n-go pouches with transparent windows plus two foam lined organizers with six dividers, all of which are completely removable or interchangeable within the main compartment. MOLLE webbing for adding additional pouches and kits. Source Tactical Hydration Bladder Included. Lightning X Lifetime Warranty on Bag. The bag comes with to much stuff and requires careful organization to fit everything. The purchaser might want to consider adding a couple of extra MOLLE pouches to this kit. The MFASCO Complete Response Trauma Bag is a great general EMT bag. It contains the supplies needed to handle just about any injury. This small kit can be easily stored in vehicles or in closets and represents what a general trauma should consist of. 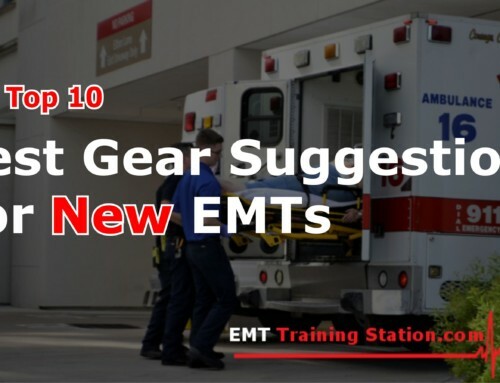 This bag is for basic care and would not make a good choice if the provider needs professional level equipment outside of an EMS agency setting. However, as a general kit, this bag is perfect for keeping at home, in a car, or taking along on vacations. Easily identifiable as an EMT bag. Reflective strips make locating at night easy. Very reasonable price for contents. The bag feels cheaply made. This trauma pack is for one thing. It stops bleeds. The Adventure Medical Kits: Trauma Pak with QuikClot is not for minor lacerations. This pack is purpose assembled to stop heavy traumatic bleeds. QuickClot was developed for combat medics to stop the bleeding when a soldier was wounded in combat and functions by absorbing water and blood at a rapid pace, stopping the injury from bleeding. This is not a complete medical kit but is worth mentioning as an addition to any trauma bag. The price point for this life-saving kit is one of the lowest on this list. Given that about 30% of all trauma-related deaths are from hypovolemic shock (blood loss), this trauma kit should be a must have for any house with or without a complete first aid bag. 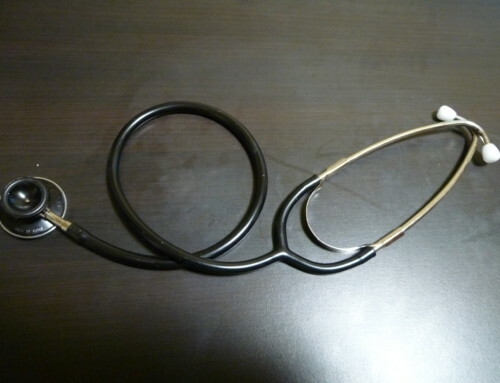 It is better to not need this and have it than need this medical kit and not have it. Functions as a solo trauma kit or as part of a larger trauma bag. Sealed bag for longterm storage. One time use, then the entire kit needs to be replaced. This tactical trauma kit provides easy access to a tourniquet, splint, and an Israeli compression bandage in an easy to access kit. The Delta Provision Co. Tactical Medical Trauma Tool Kit is an excellent addition to any trauma kit. Like the above-mentioned kit, the tactical trauma kit is not a complete trauma kit, but a specialized toolset to handle the serious injury. The pouch folds out and gives easy access to its contents, the pouch itself is also designed to be compatible with MOLLE systems. Many backpacks that hikers use, for example, have MOLLE integrated with them. 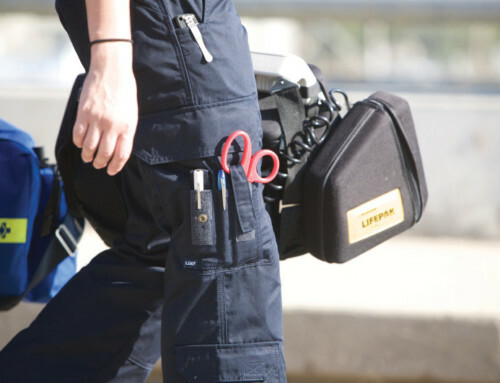 This kit is a perfect and quick addition to such bags and provides easy access to important trauma care equipment. Tactical paramedics would also benefit from this kit as they function as a combat medic for police situations. Having easy access to a tourniquet and a compression bandage can improve the chances of survival should an officer become wounded. This can be solved by taking a few pairs of loose gloves and slide them in the elastic strap holding either the splint or the Isreali bandage. The Rescue Essentials RIP-AWAY Lite Operator Kit is another compact trauma kit designed to treat and stabilize one patient. This kit is great for backpackers, hikers, and tactical medics. The lite operator kit is also compatible with MOLLEmolle systems. This kit is designed to handle both bleeding and airway emergencies. This kit includes the following pieces of equipment: 1 Hyfin Vent Compact Chest Seal, Twin Pack 1 Combat Application Tourniquet® (C-A-T®) GEN 7, 1 Nasopharyngeal Airway (28fr), 2 NAR Compressed Gauze, 1 Olaes Modular Bandage (4″), 1 ARS® Kit (14ga), 2 Pair Nitrile Gloves, 1 Pair Tactical EMT Shears w/Olive Drab Handles. The bag also features a Red Cross Medic Patch. All this comes in a 1 lb 5 oz bag. MOLLE System Compatible, perfect for tactical kits. Includes basic airway management tools. Able to tackle chest wounds and traumatic bleeds. None, this is a great bag and a great addition to a trauma kit. This fully stocked trauma bag is designed for professional level providers to care for the injured. The Lightning X Small First Responder Kit closely mirrors the type of jump bag a responder would find on an ambulance. This kit is great for private contractors, volunteer EMTs, First Responders, and other providers that want to keep an entire trauma bag either at home or in their vehicle. The bag itself features a shoulder strap, reflective strips for safety, and embroidered logo’s. Inside the bag is divided into compartments for easy organization. Tweezers, Kelly Hemostats, Trauma Sheers, Bandage Sheers, Penlight, Ammonia Ampules (10), Band-Aids (100), 4″ x 4″ Gauze Pads (50), 2″ Roll Gauze (2), 3″ Roll Gauze (2), 4″ Roll Gauze (2), 2″ Self-Adherent Bandage (2), 2″ Elastic Ace Bandage (2), 5″ x 7″ ABD Pad (2), 8″ x 10″ ABD Pad (2), 1″ Roll Cloth Tape, Iodine Wipes (10), Isopropyl Alcohol Wipes (10), Triple Antibiotic Ointment 1/2 oz, Instant Cold Packs (2), Eye Pads (2), Triangle Bandage (2) , Eye Wash Irrigation Solution, Exam Gloves (4), Universal SAM Finger Splint, Oral Glucose Gel, Adult Blood Pressure Cuff w/ Case, Sprague Stethoscope, CPR Mask, Oropharyngeal Airway Kit (6), Iodine Wipes (10), Sting & Bite Relief Swabs (10), First Aid Guide, Petroleum Gauze. Complete kit that contains everything needed for basic trauma and medical emergencies. Lacks specialized bleeding control equipment. Could use a SAM Splint or Two. The Outdoor Range Medical Kit – Tactical is an easy access trauma bag that is designed to quickly allow a rescuer to attend to individuals with traumatic injury. This bag is compact, portable, and is MOLLE compatible. It features a removable shoulder strap as well as a two-position handle. The Outdoor Range Kit is designed with bleeding control in mind. This kit is good for hikers, campers, hunters, and just about everyone that is exposed to a potential emergency. Its small footprint means that it can be easily stored in a vehicle, boat, camper, or other RV. The MOLLE compatibility allows for it to attach easily to any backpack that has MOLLE webbing. Small Footprint, easy to store. Includes a Tactical Combat and Casualty Care reference card. It is unfortunate that we have to include the Active Shooter Event Casualty Response Kit on this list. Mass shootings are a harsh reality in today’s environment. Whether the shooting occurs in a shopping center, a concert, or a school zone, there will be a potential that many victims that need care. This kit, by Rescue Essentials, is designed for the rapid care of multiple shooting victims. Inside this kit, a rescuer will find: 4 Pair Nitrile Gloves, Large (Blaze Orange), 1 QuikLitter, 4 C-A-T Tourniquet (Orange) – GENERATION 7, 2 SWAT-T Tourniquet, 3 Halo Chest Seal (twin pack), 1 7.5″ EMT Stealth Shears, 4 Compressed Gauze, 2 Trauma Dressing (4″), 2 Trauma Dressing (6″), 8 Casualty Cards w / Marker, in Aloksak, 2 N95 Masks. Active Shooter Scenarios are very dangerous. Do Not Become Another Victim, wait for authorities and help after the area is secured and only if allowed to do so. If needed just give rescuers the kit and leave the area, unless you are on duty. This is a kit that should be thought of as extra supplies and as a way to aid where you can, and not as a reason to play hero. Be Safe, Think Safe, and go home at the end of the day. Ideally, this trauma bag would be carried by on-duty rescuers that are responding to an active shooter situation. Assembled to stop the serious bleeds and extricate the victim. Useful in mass casualty scenarios. Comes with a litter for moving patients out of danger. Compact enough to be stored as a just in case solution. Only useful in mass casualty settings and is not intended for care outside these scenarios. This is a trauma kit that should be looked at as a baseline for a complete civilian injury solution. The Adventure Medical Kits Sportsman Series Grizzly First Aid Kit is complete, compact, and contains the basic supplies to handle a majority of injuries that the rescuer or another would encounter. While this is not a professional level product. The Grizzly is the perfect kit for someone that wishes to have something just beyond a typical first aid kit. This kit was designed with the sportsman in mind. People that go into the woods for extended amounts of time should carry a quality trauma kit. Supplies that differentiate this bag from a typical first aid kit include a complete bleeding control solution with tourniquets and QuikClot bandages. There is also a guide for the treatment of various injuries, as well as a roll splint. A great step above a typical first aid kit as it includes true trauma care supplies. Contains an injury care guide. Fantastic civilian level trauma kit. As a trained provider EMTs and Paramedics will encounter injury outside of their jobs. While not legally required to act, most of us got into this field to help people and render aid when needed. If you chose to keep a fully stocked trauma bag remember to keep in mind your local laws. Do not act in a manner that will endanger yourself, on duty rescuers do not need another patient. Remember your scene safety at all times. Having possession of a trauma kit does not replace the need to seek professional medical intervention. Whether you are helping yourself or another, always seek an Emergency Room for any serious injury.